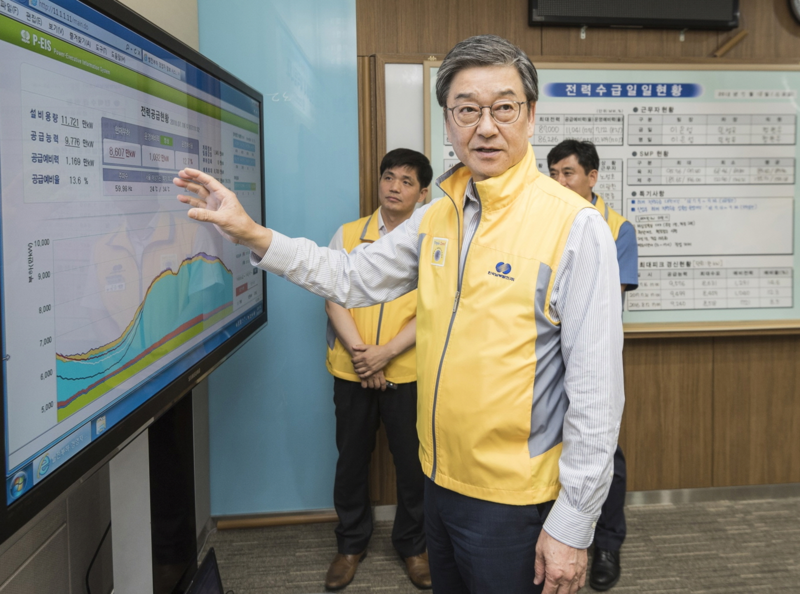 President Shin Jeong-shik of Korea Southern Power Co. (KOSPO). Korea Southern Power Co. (KOSPO) successfully secured financing for the planned Gyinaemi Photovoltaic Power Farm in Taebaek City, Gangwon-do. The fundraising will ultimately spur KOSPO’s plan to build 100 homegrown photovoltaic power units. The project is designed to help Korean photovoltaic power farm contractors secure a competitive edge by building photovoltaic power units with localized equipments and components. KOSPO successfully raised the 33.52 billion won necessary for the construction of the Gyinaemi Photovoltaic Power Farm from Kyobo Axa Investment Managers. The Gyinaemi Photovoltaic Power Farm is KOSPO’s fifth homegrown photovoltaic power farm project in an area near Hasami-dong, Taebaek City. The project calls for the building of 12 19.8MW photovoltaic power units with a combined capacity of 1.65MW. The private sector will channel 47.2 billion won in the construction of the farm, scheduled to be dedicated around this year-end. When the farm is inaugurated, it will be capable of generating 37,600 MWh of electricity, equivalent to the annual electricity consumption of 8,000 households. It is expected to have an effect of reducing 16,900 tons of greenhouse gas emissions per annum. 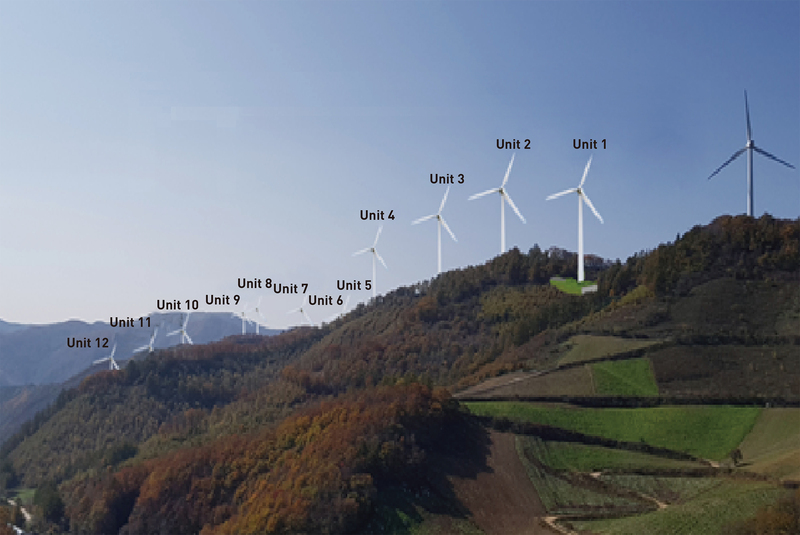 The farm’s power generation will have an effect of substituting for 670,000 pine trees aged 20 years planted in an areas 11.5 times more than the size of Yeouido, Seoul, or purchasing 4.61 billion won worth of Dubai crude oil on the annual average for the recent three years. KOSPO plans to do its best to ensure the safety of the construction site thorough joint inspection and safety diagnosis and drone-oriented surveillance flying in cooperation with Gyinaemi Photovoltaic Power Farm and cooperative players. The power company plans to contribute to the reinvigorating of the regional economy by developing the Gyinaemi Photovoltaic Power Plant into a regional landmark in cooperation of the regional and local governments. The Gyinaemi Photovoltaic Power Plant, to be built at a place more than 1,000 meters above the sea level, is expected to be faced with environment issues related to the implementation of the project, but the project is making a smooth sailing for the successful construction of developing the photovoltaic power farm into an eco-friendly one through aggressive cooperation with project participants, local governments and neighborhood residents, by agreeing to create a forested area substituting for the trees being logged at the construction site. KOSPO has so far built the 18MW Taebaek, 16MW Changjuk, 30MW PyeongChang, and 32MW Jeongam photovoltaic power farms. On top of the Gyinaemi Photovoltaic Power, to be dedicated late this year, the power company plans to have the 60MW Anin Photovoltaic Power Farm in 2020, the 40MW Cheongsa Off-shore Photovoltaic Power Farm in 2021, the 30MW Mt. Yukbaek Photovoltaic Power Farm in 2022, and 100MW Daejeong Photovoltaic Power Farm in 2023, contributing to creating the homegrown photovoltaic power ecosystem.